The winery is a living thing from the earth where the vines emerge to the guests who visit us. We like to share some behind the scenes info and thoughts that influence our winemaking from the earth to the bottle. 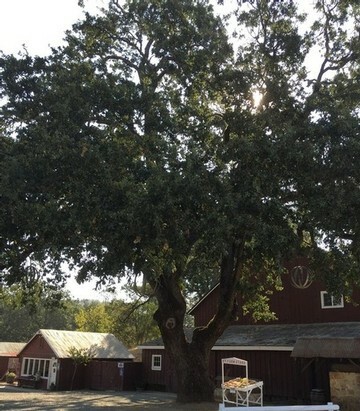 My small office window overlooks our winery’s iconic oak tree—a calm, steady presence outside our door throughout all that is the vintage. It has seen generations of winemakers come before myself, and, though I hesitate to speak of my own mortality so late in October, it will surely see generations after me. Its steadfastness in the wake of growth, expansion, and human intervention is a daily reminder that on a long enough timeline, all things return to the land from which they came. Those who work in agriculture are particularly astute to the fact that these pieces of earth, which we so carefully tend, are only able to give as well as they receive. So as a humble fermentor of grapes, what does that mean for me? Well, I suppose the relationship should go far beyond picking grapes and making wine. The penultimate goal of anyone who feels the need to make their living by cultivating the ground is to form a symbiotic relationship with it—to understand it on a level typically reserved for close friends and family. It is a living thing and should be treated as such. Only when we properly understand our terrain can we adequately meet its needs, and hence, only then are we able to taste the reflective “sense of place” in the fruit it yields to us. And I consider myself, new to this place, a student of this land, prepared for the slow lessons it will provide over the course of seasons in hopes to someday capture all of this place’s elements—soil, topography, heat, rain, wind, history, and (with discretion) human hands—to bring the flavors unique to only our location. 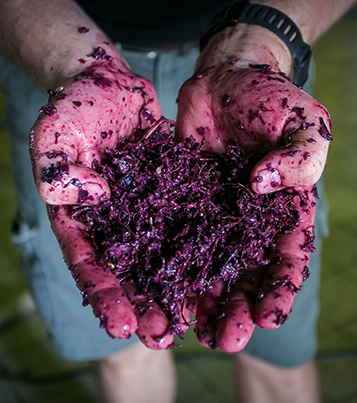 Winemaking, however, is an exercise of perpetual humility—where incremental progress and learning quickly cedes to the realization that nature, and in this instance—microbiology, will always win. As you may have already surmised, there is a great deal of Bourdain in my house. My wife and I are currently in the middle of the final episodes of “Parts Unknown,” and we’re enamored with the globetrotting exploits of man who is seemingly at ease in situations that would make most non-celebrity human beings, such as myself, particularly uncomfortable. 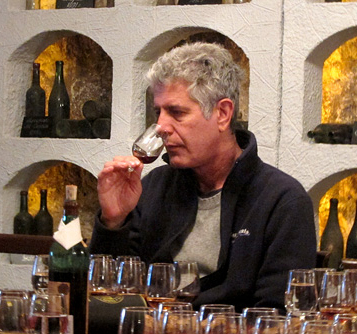 Sparing the details, the best explanation for his behavior that I can suggest would be that Bourdain was incredibly cognizant of what he did not know. Choosing to draw from that mental space, rather than attempting to apply his own experiences to different cultures, allowed him to maintain a genuine sense of interest and curiosity throughout his travels. Allowing himself to be truly open to receiving knowledge meant eliminating all preconceived notions and evaluating subjects at face-value. Ah, and then there is myself—working a new vintage in a new place, with new land and new people and new grapes. Not exactly Chef Bourdain’s Arabian desert or Antarctic wasteland, but a “part unknown” nonetheless. Our 2018 growing season was about as moderate and as steady as I’ve ever experienced. Granted, we had periods over the summer when temperatures exceeded 100 degrees, but those occurred during periods that were non-detrimental to fruit quality. Beginning in August, as we prepared for what was sure to be a continuation of the modern-trend (heat spikes and fast-and furious picking), something remarkable happened—that time never came. Rather, Pope Valley experienced daily highs in the mid-80s with cool nights, which were ideal for steady flavor development and acid retention in the fruit. The East Coast pessimist in me, patiently waited for the late-summer heat to come, and while we flirted with it for a day or two, in all we were permitted to harvest essentially at our leisure. We began with Sangiovese on September 10 (destined for our rose), which was harvested a full three weeks later than in 2017. Pope Valley Sauvignon Blanc, a new and exciting venture for us, was picked about a week afterward. Under no environmental pressure to pick, red trickled in at the end of the month and now, at the end of October, we’re prepared to bring in the last of our Cabernet on Halloween. Spirits and quality have remained high, and even some rain and provider-inflicted power-outages couldn’t get in the way of what is becoming, truthfully, a special vintage. Is such a moderate season an outlier in a string of hotter and hotter years, or is 2018 a regression back towards “normal”? And still, what is “normal” anymore (though that may be a topic for a different post altogether)? And what bits of knowledge have we gained? Well, soils do some strange things when they lie directly on top of fault lines (no earthquakes here, but the range of minerals taken up by these vines is remarkable). 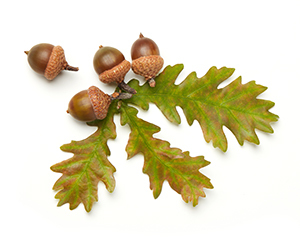 High-elevation tannins can be an enemy, but they can also be your friend. Water is of particular value; and, as with most agricultural ventures, non-action is sometimes the best course of action. With such lessons learned, we can begin to prepare ourselves for 2019; in the entropic nature of autumn, grapes become wine, and the last remaining acorns fall from our tree.